"When our 10-month-old German Shepherd puppy had her first of four surgeries for congenital hip dysplasia, we were worried about how to care for her as well as her lively new kennel mate, a 5 month old German Shepherd male puppy. We found Connie and Canine Health Resort through her business card at CSU where she is known by most people as the lady who cares for all animals regardless of their needs. Connie provided a safe, healthy recovery home for our puppy and to this day, our puppy considers Connie and whatever mix of puppies and dogs on the property as her second family. We've said many times that we don't know how we could have raised our two German Shepherds without Connie's constant willingness to help us." 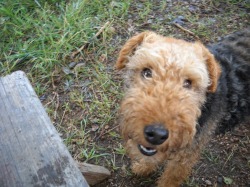 "When our beloved 7 year old Welsh Terrier named Monkey was diagnosed with cancer we were devastated. After extensive research, we knew he had to send him to CSU for the best treatment available, but where would our spoiled only child live during his month long radiation treatments? Enter, Connie and CHR! Morning walks, swimming at the pond, sleeping on the couch, playing with the gang - what cancer? On days when he was tired he would rest and on days he was up for some distraction he would join in the activities. Connie would email us pictures and updates a few times a week. She made it clear I could call her as much as I wanted. She took him to his appointments, gave him his meds, but most importantly, gave him a loving home away from home." Recently our six year old golden retriever, Wally, was diagnosed with a malignant mast cell tumor and required both radiation and chemotherapy treatments at Colorado State Veterinary Hospital. Fort Collins is more than 3 hours from our home and we weren’t sure how we could handle the trips back and forth. The staff recommended Canine Health Resorts and that solved our problem. Wally spent four weeks with Connie and loved being there! I spoke with Connie almost every day and she kept us informed as to Wally’s condition and even sent pictures! Wally had so much fun I’m not sure he wanted to leave! Connie was a delight to work with and professional in every way. We can’t thank Connie enough! "It is not uncommon for one to remember the exact time tragedy strikes. Nor is it uncommon to remember with relief the moment a miracle is born out of the same tragedy. So it seemed to be the case the day I sat with my 8 year old dog Abbey in one of the many exam rooms at CSU Veterinary School. We had noticed a few months earlier that Abbey had been limping. After numerous visits to our local vet, it appeared her limping and pain were increasing, despite tests, acupuncture and costly meds. At the suggestion of a friend who works as a lab tech at the school, Abbey and I ventured to Fort Collins under the mistaken impression that an orthopedic consult would reveal a torn ligament. Corrected by a simple surgical procedure we would endure a few weeks of rehab before returning to our very active life of hiking, snow shoeing and long leisurely walks in the foothills near our home in Littleton. 12 hours later I was dealt the blow that Abbey had a neurosarcoma that extended from the tips her toes up her leg and ended just 4 mm from her spine. I was provided three options. The first was totally unacceptable and I had no intention of putting down my “pseudo child”, especially when you consider she made no indication this was the choice she wanted made on her behalf. That left us with an amputation for pain control or a more aggressive approach of amputation of her leg followed by 4 weeks of daily radiation therapy. It was explained to us that Abbey would need to come to the radiation therapy department Monday-Friday. The actual radiation appointment took about 30 minutes. We wanted to provide the best possible opportunity of her full recovery, if in fact her neurosurgeon found enough room for hope once the leg and nerve were removed. We decided to take it one step at a time. When Dr. Klopp joyously announced that we had a 4 mm clean border her recommendations were to move forward with the radiation. The estimate of cost for the procedure was not what troubled us the most. We struggled to understand how we could handle the daily requirement of Abbey at CSU. Both of us worked full time. We were fortunate to each have jobs that would have permitted us working “long distance”, staying in a hotel in Fort Collins 4 nights/week for the month of treatment. But the cost to do so was staggering. There was the suggestion that Abbey could be “housed” in a kennel within the school, that we could bring her up to Fort Collins on Monday and then pick her up Friday afternoon after her treatment was complete. When we saw where our spoiled princess child was to spend the hours between her treatments, our hearts broke. Let’s just say Abbey was the typical result of a person who did not have human children and had put every once of energy and resource into the four legged variety of “my kid”. I could not leave her in the capable, albeit kenneled environment at CSU. 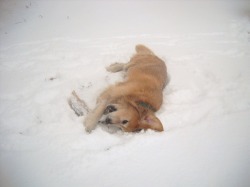 It was then that Dr. Klopp introduced the idea of Abbey “living” at Canine Health Resort with Connie Fredman for the duration of her treatment. She explained to us that Connie assumed responsibility for Abbey’s appointments and recovery. Abbey would stay with Connie and other client dogs undergoing similar procedures for cancer and medical fostering. We visited Connie at her 74 acre property a short distance from the school while Abbey was tagged for radiation. We were immediately impressed with the compassion and knowledge Connie showed towards our hesitation at leaving Abbey during such a difficult time. She assured us that Boone, her three legged yellow lab would help Abbey understand how to navigate as a tri-pod and that she would be amongst other animals who were adjusting to physical limitations as the result of their therapy. There was an enormous fenced, secure yard where Abbey could be rest outside during the day with plenty of opportunity to romp should her activity level allow. She would live with the others in the comfort of Connie’s home, fed her special diet and provided with her medications. Connie also assured us that Abbey’s seizure disorder would be monitored while in her care. She claimed that no dog with a seizure disorder had ever had a seizure while in her care. That alone put our minds more at ease. And Abbey became one of her positive statistics. Despite having severe seizures each month at home, she never had a seizure while in Connie’s care. So we placed Abbey in Connie’s capable hands. Each day Connie graciously endured our phone calls and emails inquiring as to how Abbey was doing. Each night we received either an email of a photo of Abbey and her Motley Crew friends on their walks or during their play time, or a phone call indicating the most recent medical update to her care. It can be difficult to navigate the hallways of CSU, as the students are in class or clinic. Connie had the ability to get to Abbey’s medical staff without difficulty and this made it much easier to stay on top of Abbey’s medical needs. We would pick up Abbey around noon every Friday, returning her to Connie’s care on Monday. As we were also adjusting to a new way of life with Abbey’s amputation, Connie provided immeasurable guidance to us so that Abbey’s transition home was easier, safer and less traumatic. Abbey flew through radiation and much to our surprise had very little physical discomfort or issues that had been outlined to us prior to her treatment starting. We believe this was in large part due to the excellent care she received from Connie. Following her recovery we discovered that Abbey could board/stay at Connie’s any time we needed to be out of town. The peace of mind this provided to us allowed us to enjoy the trips out of state over the two years Abbey lived following her amputation and radiation. Since Abbey’s death in 2008 we have remained close friends with Connie and have watched as she has offered her services to numerous other owners and foster dogs. We are continually touched by her dedication to the “least of the canine world” and amazed at the accomplishments she fosters in the dogs entrusted to her care. I am often asked by people who come to learn of Abbey’s story and the cost of her treatment “would you do it again”. I believe that each dog’s situation demands careful thought but I also know that should I ever have to take that road again, I will do so confidently knowing Connie’s care will make the difference in my dog’s recovery and quality of life. We joke that Abbey’s time at Connie’s following her surgery and during her radiation was a “support group” for her, the time and space she needed to move into a new way of life.To Boone and Ozzie and Connie….we will be forever indebted."